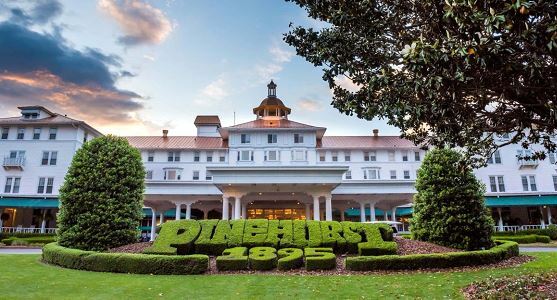 The Pinehurst hosted the US Open three times, won the Travel & Leisure Golf Magazine’s Award three-times as the Best Golf Resort in America and is famed for its No 2 Golf course. The Pinehurst also hosted the Ryder Cup as well as 10 USGA Championships. 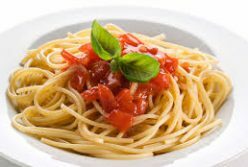 Due to all the magical sports events part of the history of this magnificent golf course and resort, the restaurant adds even more magic to any visit to the Pinehurst. The Deuce Restaurant overlooks the Pinehurst No2’s 18th hole and holds the titles as the Best New Restaurant in Golf awarded by the Golf Inc Magazine. The Deuces opens Monday to Thursday at 11 am and remains open until 6 pm, while its hours are extended during weekends when it begins from 11 am up to 7 pm from Friday through to Saturday. After an enjoyable round on the golf course, the Deuces are the place to be. Light snacks complimented by a craft beer includes the Tin Whistle Nachos, Deuces Burger served with sides such as sweet potato fries or house-made potato chips. Sliders served by the two’s include buffalo chicken or pulled BBQ pork shoulder. The list of speciality drinks is extensive. It includes the Deuces made up from ginger and rosemary muddled together with lemon juice, ginger beer and Covington’s North sweet potato vodka. Served garnished with lime wedges and rosemary. An exciting option is the Bump and Run. It includes sweet vermouth, barrel-aged Crown Royal Regal whiskey and apple juice served with black cherries and apple slices over crushed ice. If you love margarita’s, then it is indeed time you try the Deuces Chi-Chi Lee Margarita. It is hand-shaken and crafted with cucumber jalapeno syrup, Patron Silver tequila and lime juice. It is served garnished with lime and jalapenos and served in a salted rimmed glass. The Blood Orange Whiskey Smash is one of the speciality cocktails worth tasting and consists of Disaronno and Breckenridge bourbon whiskey combined with agave syrup, fresh blood orange juice and orange bitters, garnished with thyme. The Privat Blend Pinehurst wine list includes The Deuces Chardonnay, Deuces Cabernet and Deuces Pinot Noir as well as the Pinehurst No 2 Cabernet and Chardonnay. An extensive selection of premier red and white wines are available as well as sparkling wines including La Marca Prosecco and Korbel Brut. The special drinks list also includes Double Deuces, Draft Beer and Saranac Root beer floats. Anyone that prefers something other than an alcoholic beverage can select one of the speciality hand-crafted milkshakes. This includes flavours like Chocolate Peanut Butter, Cookies and Cream, Salted Caramel Pretzel and the Spike Your Shake option is also available. The Deuces cigars include some of the finest, which consists of the Pinehurst Resort Partagas Black, Romeo Julieta and the Cohiba Extra Viejo 652 Ashton Monarch Tube.